Here’s part two of our trip to Montana. This post has lots of pictures like the last one because I’m still making up for not blogging for like a month or two. 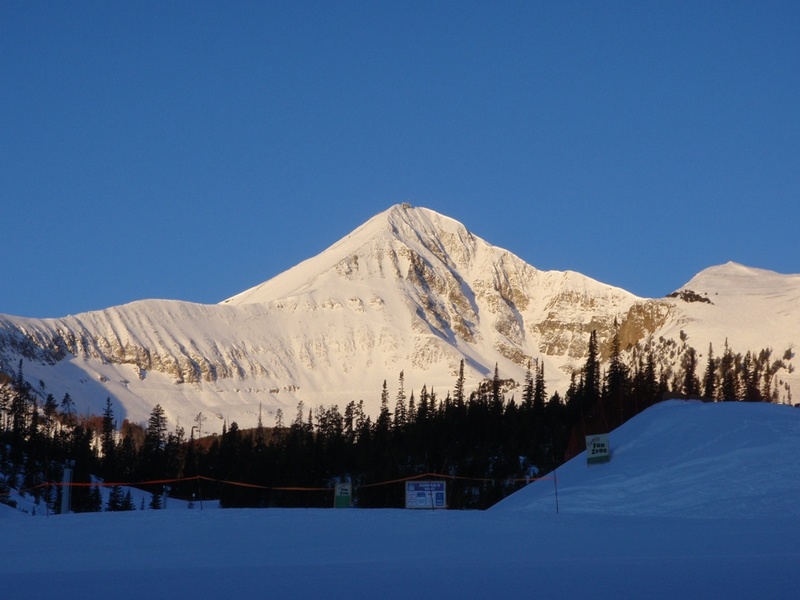 So, this was our amazing view from our room – what’s even more amazing than that is that Grady skied from the peak of this mountain – yes, see the very top point of the mountain? – that’s where Grady would ski from! If you click on the picture you can see even better how ridiculous it is that he skies crazy things like this. I become one serious praying wife when we’re on ski trips. It doesn’t make things any better when the guys Grady’s skiing with tell me things like, “your husband is a maniac on the slopes!” Great! Grady wears a helmet now because a doctor he skis with told him he needed to be wearing a helmet the way he skis. Oh brother! 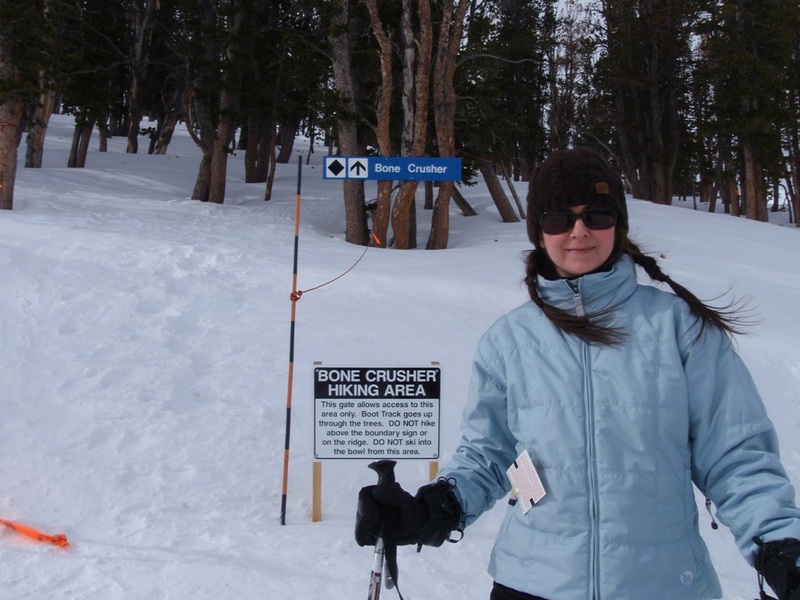 Moving on… Grady thought this would be a good picture of me – one by a black diamond sign that says “Bone Crusher” – in actuality that describes Grady’s style of skiing. “Football Field” would be a better description of what I ski 🙂 – nice and flat or “Never Fall” because that’s always my number one goal of a ski trip 🙂 – I broke like a 4 year record this year when I fell – oh well, you can’t win them all. 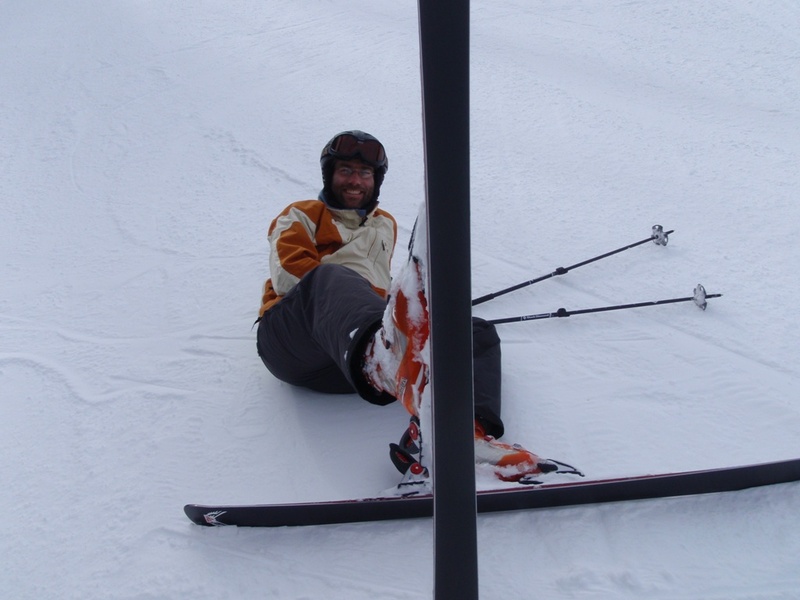 Here’s Grady relaxing on the snow while I adjust my boots – for some reason I have to do that a lot on the slopes and Grady usually sits down to rest because I take FOREVER – sorry babe! 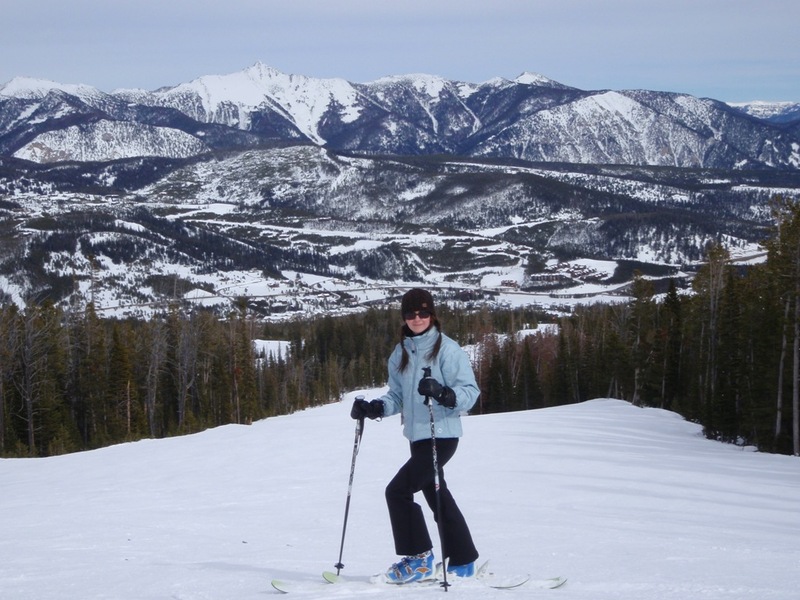 And lastly, this one is so you can see ONE of the great views we had on the slopes – this place was seriously beautiful! Here are some more quick sketches I did throughout the trip. Again, they’re not show stoppers (well nothing I do is a show stopper – my point is that they are just quick sketches – not finished pieces) but they are little tidbits of things I painted while Grady risked his life on the slopes. One of us has to do something not life threatening :). 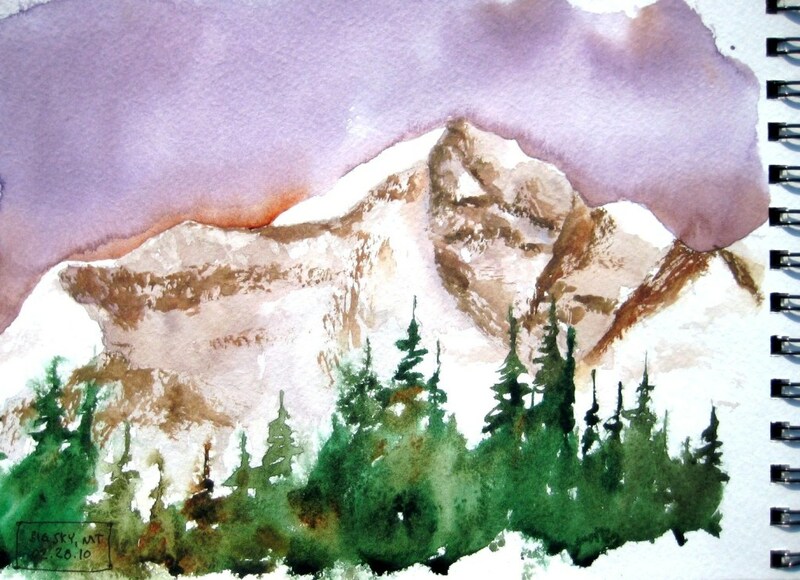 This first one is a quick one I did of Lone Peak – the mountain we could see from our room. 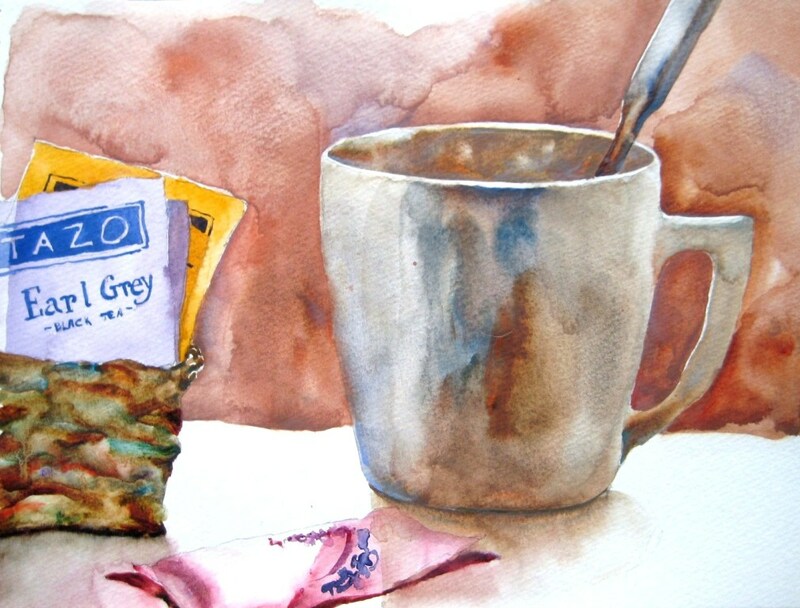 These next two were painted from photographs taken by one of my watercolor students. He’s a GREAT photographer. You can see his work here. 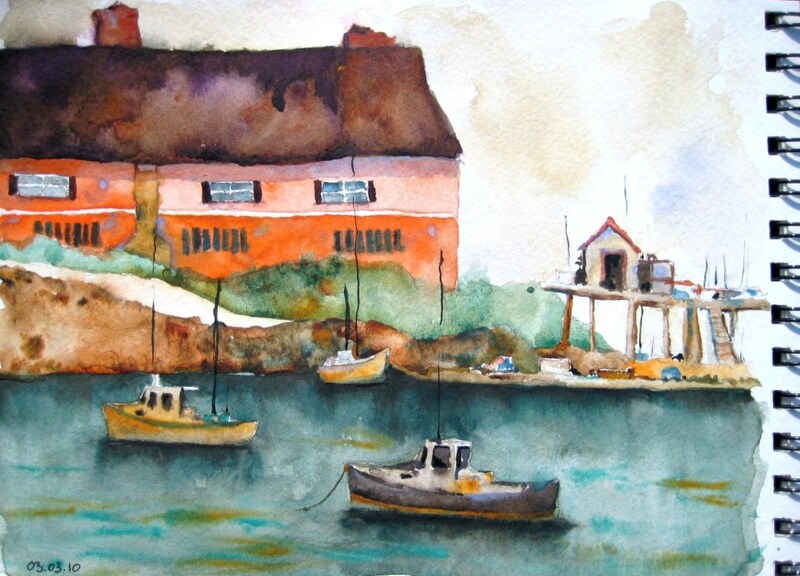 These were painted from Jim’s Maine series. This last one is a little still life I set up in the room. You can always find something around to paint 🙂 – or at least I can! I hope you enjoyed snippets of our trip. Keep an eye out for a free give-away post of an original painting I have coming up!